I just heard from my friend that there is new rule for new student to process they student pass. Until one semester after my batch (2013/2014 semester II) the student pass will process in University. We just need to come by single visa (if your departure country need visa to enter Malaysia). Those who do not need visa, just come to Malaysia. Like me, I just consider as tourist before I process my student pass. But now, the system a little bit changed. My friend said, her brother accepted in one of universities in Malaysia. There must be a letter from Malaysian immigration called visa calling to foreigner that want to process visa in order to register university in Malaysia. All new students must get visa calling before come to Malaysia as student. Even if your country no need visa to come to Malaysia, without visa calling you cannot enter Malaysia. Like what one of my friend told me, there is his junior had not get visa calling yet but he forced himself to come because he wanted to go together with his friends. What happened was he rejected by immigration and he had to go back to Indonesia. Another experience, a new student who need visa to go to Malaysia, has to wait for his visa calling and applied single visa to come to Malaysia. I found that this system very rude. It is give difficulty to new students because processing letter for process visa take a long time. Even when you have to hurry because you need to do register, but immigration can do nothing. As the result, you have to come bit late from the register date. Well well..
My Student Pass, Please Come Fast..
Its the truth that most of Internasional students in Malaysia complain about student pass process that take very LOOOOONGGG time. When I am writing this, my passport was stuck for more than 7 weeks in order to process my student pass. Normally, student pass prepared before we go study abroad and its usually takes just 1-2 weeks. In Malaysia, Internasional students have to make single pass, for those who need visa to enter Malaysia, before they make student pass in their own University. Yes, Internasional students in Malaysia processing their student pass in University’s Immigration Office. 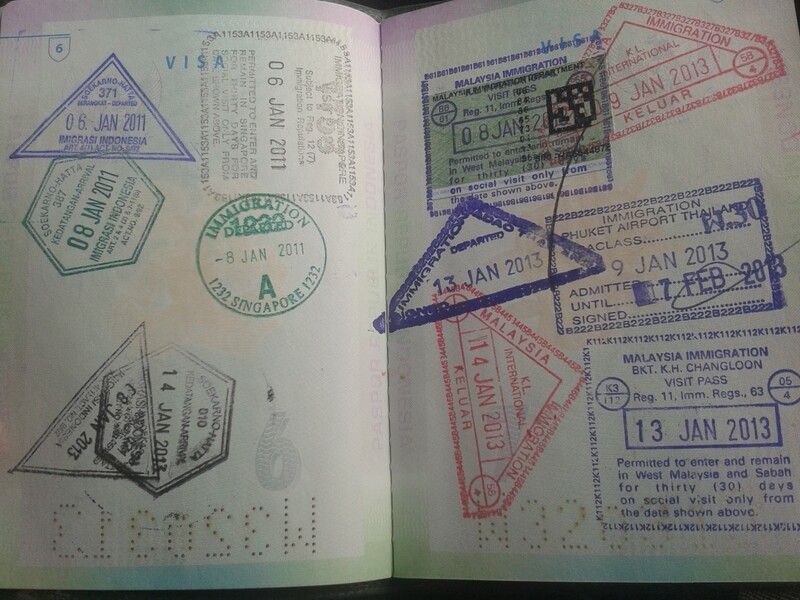 I heard that the long process started from 2007 because of regenerated system in Malaysian Immigration. The proccess could take almost 2 months. And now, yesterday when i asked my student pass status to Immigration office, the staff said now could take process 2-3 months. And i just could response, “WHAAAT ?? ?”, She continued, yeah there still 700 hundreds passports waiting. I mumbled, what was the immigration sfatt did over there? I dont care, this is not my business, I just wanna my passport baccck @.@. And I left the office with bad feeling, again, like I always feel when i leave that office. You know, althought I dont really need it but passport in my only one official ID here. And with passport, and student pass inside of course, i feel safe and able to go travelling around Malaysia when I am free or on short vacation. Actually, it is okay to go travelling but because now so many inspection about illegal worker or illegal resident, its normal if i didnt feel safe to go anywhere without my passport. Fiiiuh, the most important thing is when I wanna go back to Indonesia, the student pass must completely available. I dont care! xoxo.. For Immigration staff who take care of our student pass process, I send you pompom to support you work, so I can get my student pass fast. GO GO GO!!!!! !